Do you climb for the thrill of the fight? The Tiger is Boldrini's trad shoe, designed for precision and support on longer single-pitch routes and face multi-pitch climbs. The Tiger features a stiff midsole for the highest level of support on longer climbs and when weighting small edges, for all-day climbing without the fatigue, and the laced system provides a custom fit for all foot shapes. The asymmetric shape enhances precision in the big-toe area, but it isn't too uncomfortable, and the slight downturn ensures performance on overhanging terrain. The synthetic microfibre upper will not stretch at all, which means the shoe will not stretch and lose its performance shape over time. 4.5mm of Formula Rubber Tractor balances durability and sensitivity. For trad climbers, multi-pitch climbers, and sport climbers, the Tiger is comfortable, supportive, and durable; ready to be worn all day. Boldrini’s signature sole material, the only rubber to use aluminium particles as a filler to increase tensile strength making the rubber generally tougher, more durable, and less likely to crack and split or stretch out of shape. Boldrini materials use high quality materials that result in a much longer lifespan with less repairs necessary over their lifetime. Very happy with the shoes, BUT would find a sizing guide helpful. Originally bought two pairs so i could try different sizes, then exchanged both to try two other sizes. Suddenly meant I was unable to return the pair i didn't need so they are just lying around in the box at home, very unhappy with this. Also you have to post the return to an address in France which means the postage is very expensive. I bought these to replace my existing Tigers. The shoe is remodelled and even better than before - superb comfort and precise fit, beautifully made and with incredible grip. My go to shoe for trad and most sport. Unmatched comfort! Hard to beat performance! 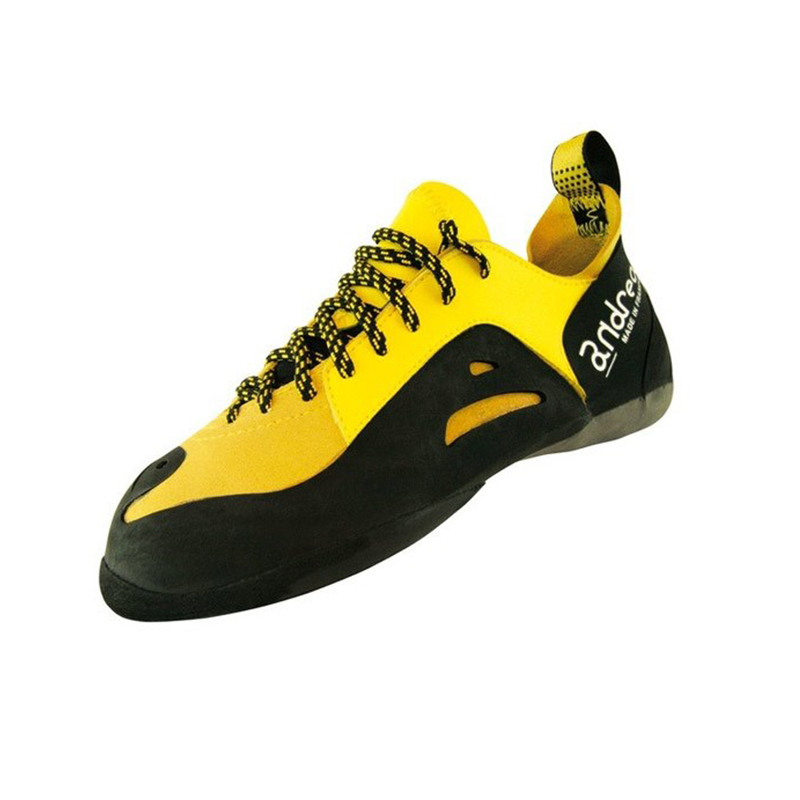 This climbing shoes allowed me to climb again after a long recovery of a ruptured achilles tendon. Unmatched comfort, for the morphology of my foot. My street size of shoes is EU47, I bought size EU45. The degree of adherence to the rock made me improve the ability to use the foot technique and to be able to apply the force in smaller holds. The image of the shoes on the EPICs site does not match the current version of the shoes, I have found several changes for the best, the most significant is the rubber that covers the big toe. I got a no-edge better than the geniuses and the ability to do better edging than the Miura VS.
After many difficulties I was able to easily return to sport climbing thanks to them, despite having many other pairs of shoes of reputed brands. Unmatched! grip pas terrible et s'use terriblement vite.